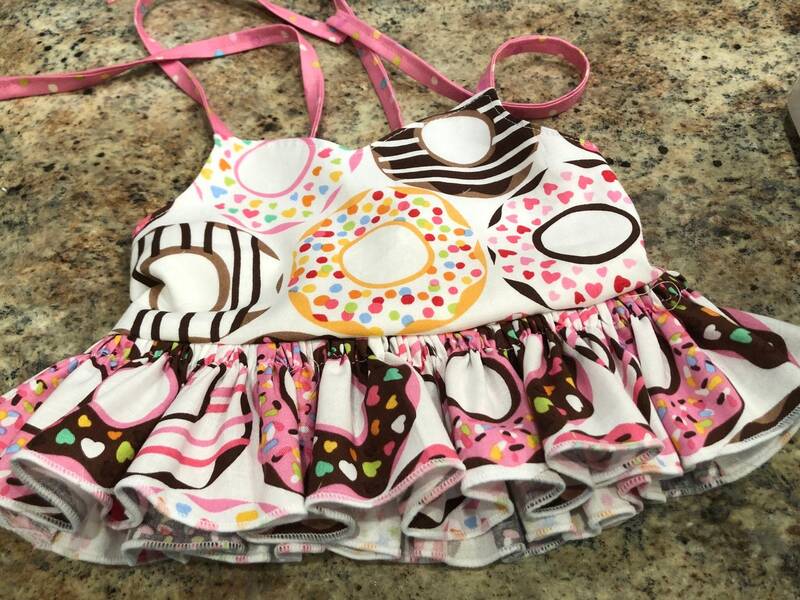 DESCRIPTION: Do-Nut be afraid to get this cute semi crop and bloomer set! Top has shoulder ties in a confetti dot and elastic back. The cute full ruffle has the sweetest treats possible! 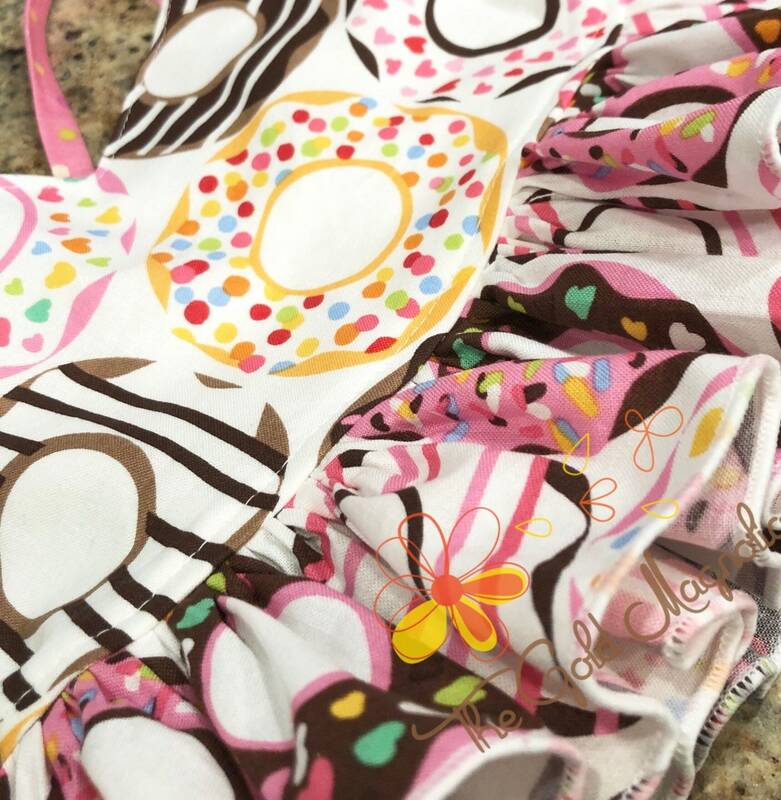 The Bloomers/Diaper Cover are chocolate covered and has side flutters to coordinate with the top. Chocolate Ruffled Shorts available for sizes 2T and 3T if requested at an additional $5.00 Fee.